How to change iTunes backup location on Windows 7/8/10/XP/Vista? 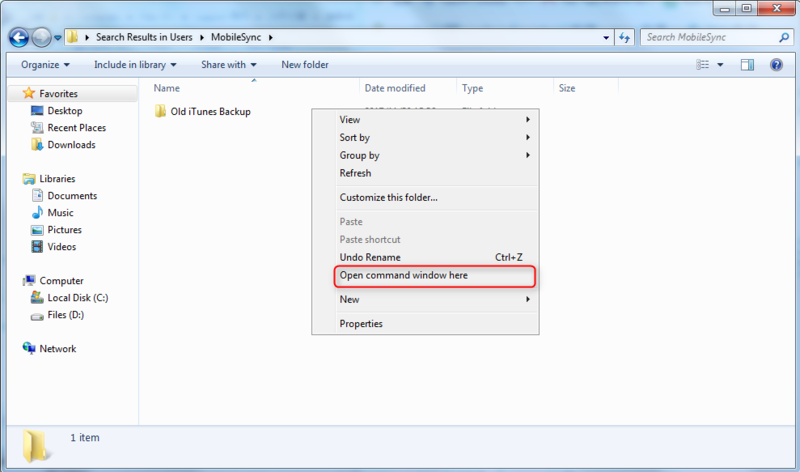 Here in this post, we will show you detailed steps to change iTunes backup location on Windows. Do keep reading and get more details. 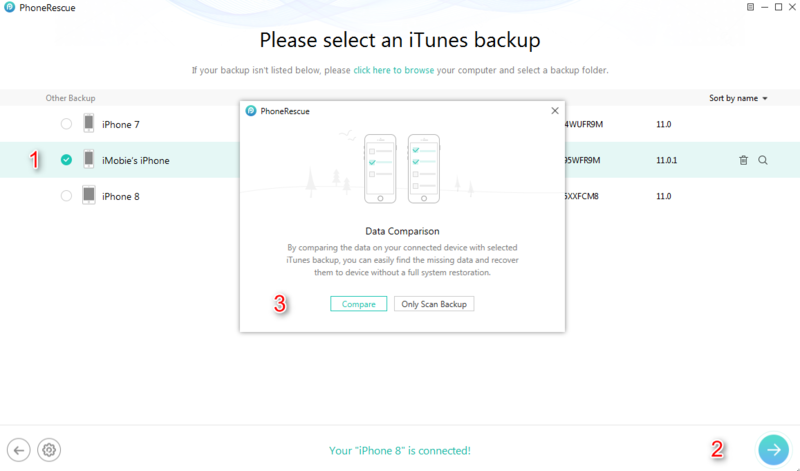 PhoneRescue for iOS can help you view and extract data in iTunes backup. Download it and give it a try after getting to know how to change iTunes backup location on Windows. Q: My Windows computer’s C drive was full of iTunes backups. I removed some of them, but after a few times of backup, The C drive, again, ran out of storage. How to change iTunes backup location on Windows? Looking forward to your early reply. Many people who frequently back up iDevice data to computer via iTunes may have encountered the same problem with Mr. Oli did. Frankly, just with a little work, you can change iTunes backup location. Now, follow us and get to know more about changing iTunes backup location. Knowing the iTunes backup location on windows is the first step to change iTunes backup location. Before getting started to change iTunes backup location on windows, please make sure you have some previous iTunes backup on windows computer. Step 1. Create a new iTunes backup folder on any drive (except for C drive) that has enough free space. (External hard drive will also do.) Name it as “New iTunes Bakckup” or whatever you like. Step 2. Find the default iTunes backup folder with the path we have given, rename the old iTunes backup folder as ” Old iTunes Backup” or anything else. Step 3. Once you have renamed iTunes backup folder, press Shift key and right click on the old iTunes backup file location, select Open Command Window here. Step 4. In the prompt window, type the following command. mklink /J “%APPDATA%\Apple Computer\MobileSync\Backup” “D:\ Backup”. Here we created the new folder in D drive, so the last pare of the command is “D: \Backup”, if you created the new folder in E drive, please imput “E:\Backup” instead. Step 5. Press Enter and let the command run, then type “Exit”. Now, you have changed iTunes backup location on Windows. Next time you backup an iDevice, the data backed up to iTunes would be stored to the new folder you just created. With all steps above, you might have successfully changed iTunes backup location on Windows. iTunes is a nice tool to backup iTunes, however, iTunes backups are not viewable, besides, to recover lost data from iTunes backup, you have no choice but to restore the iDevice. Is there a nice way to view and extract data in iTunes backup? PhoneRescue for iOS is there for you. Developed by iMobie team, an Apple certificated developer, PhoneRescue for iOS wins much admiration as one iOS data recovery tool. It can help you free scan iTunes backup. If you upgrade it to pro version, it can even help you selectively recover data from iTunes backup to iPhone iPad iPod touch or save iTunes backup data to computer as viewable and printable format. 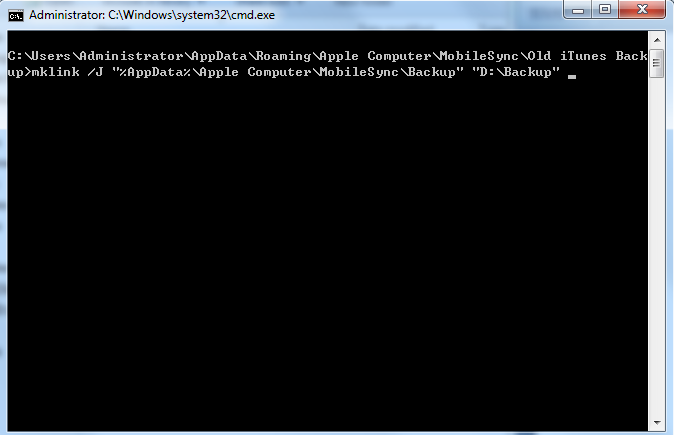 Now, let’s have a look on how to view and extract data from iTunes backup. Step 1. Get PhoneRescue for iOS on your computer and then launch it. 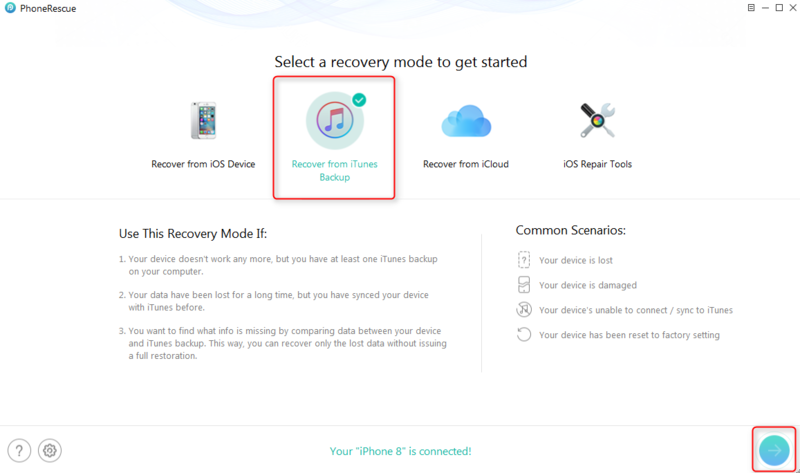 (Connect your iDevice to computer if you need to recover data to your iDevice. Click the Right Arrow button to continue. Step 2. Choose one iTunes backup to restore form, click the Right Arrow button to continue. Click Only Scan Backup if you only want to view the data in iTunes backup. 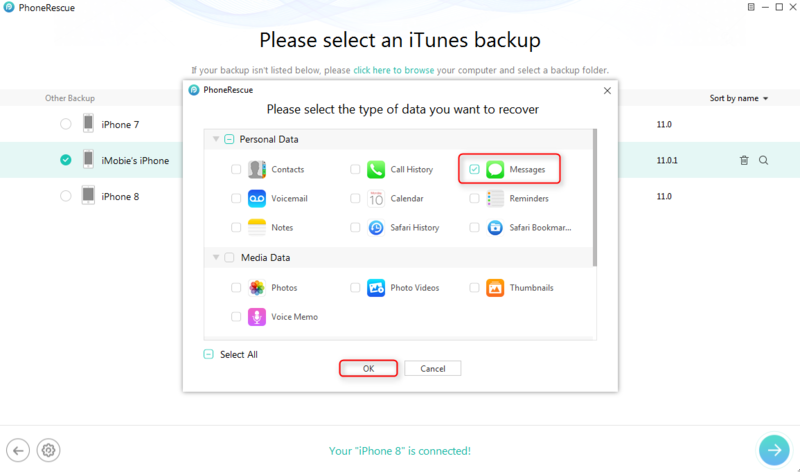 Click Compare if you want to know the differences between the data in iTunes backup and the data in your iDevice. Step 4. 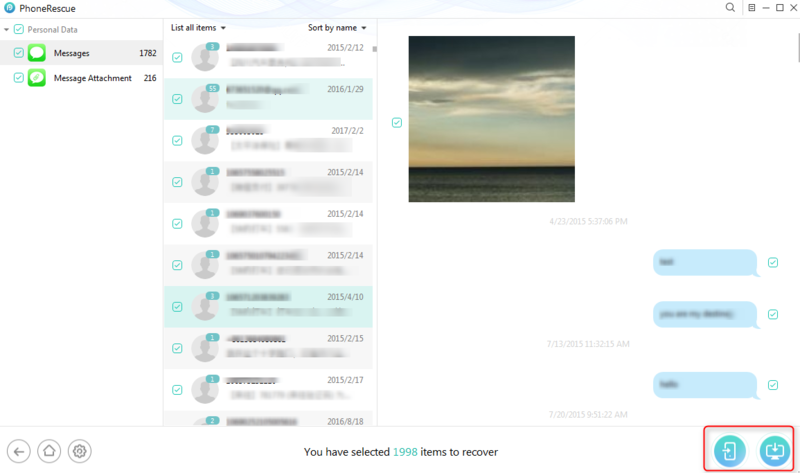 PhoneRescue – iOS data recovery will display you all messages on iPhone. Select the conversation you want to recover and then click either recover buttons. To Computer tab will help you save data to computer as printable and viewable format. The To iDevice tab will help you recover data in iTunes backup to iDevice. That’s all for how to change iTunes backup location. If you have any questions, please do leave comments below. By the way, as you can see, PhoneRescue for iOS is such a nice tool to recover data to iDevice or save data to computer as printable and viewable format. Don’t forget to give it a try.